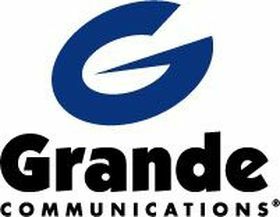 Grande Communications, a telecommunications company, needed to develop a number of quick reference guides for their integrated residential telephone, cable, and Internet services. The company wanted practical guides that helped people perform common tasks, such as retrieve voice mail, connect to the Internet, and use a multi-function cable television remote. They needed guides that followed sound instructional design principles. The final deliverables needed to be print-ready for mass-duplication by a professional printer. Because these materials would be used by customers, the client was very concerned with ease-of-use, accuracy, and consistency of branding. Intulogy’s training specialist reviewed Grande Communication’s existing documentation and training materials to learn the systems in detail. The training specialist wrote content that would fit within the booklet’s space requirements. After Grande Communications reviewed and approved the content, Intulogy’s graphic designer built the quick reference guides with page design software according to the printer’s specifications. Grande Communications gave Intulogy access to their brand manual and photo library to complete these guides. Intulogy’s training specialist and graphic designer compressed complex processes into short yet instructive quick reference guides. Their familiarity with adult learning models allowed us to maximize the benefit from both word and image. The graphic designer used Quark, Adobe Illustrator, and Adobe Photoshop to produce a quality, professional product for the client’s needs. Grande Communications received quick, professional-quality reference guides that were custom-built for their specific needs without having to hire one firm for the technical writing and another to produce it for a print shop. Not only did the client save money, but they were able to speak to both sides of the project at the same time.